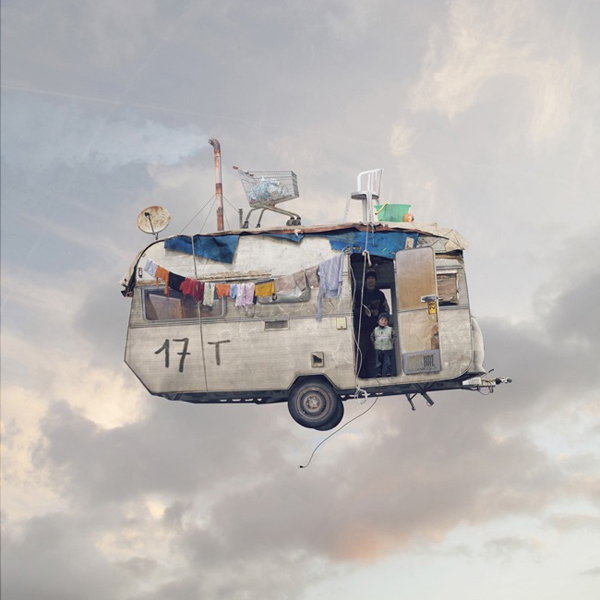 the transcontinental affair: flying houses. 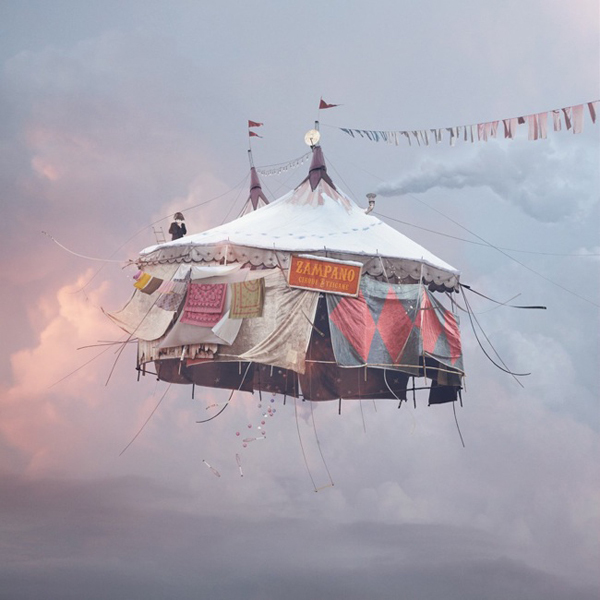 i have long been a fan of the top image of the flying circus tent, but always assumed it was a Tim Walker photograph. 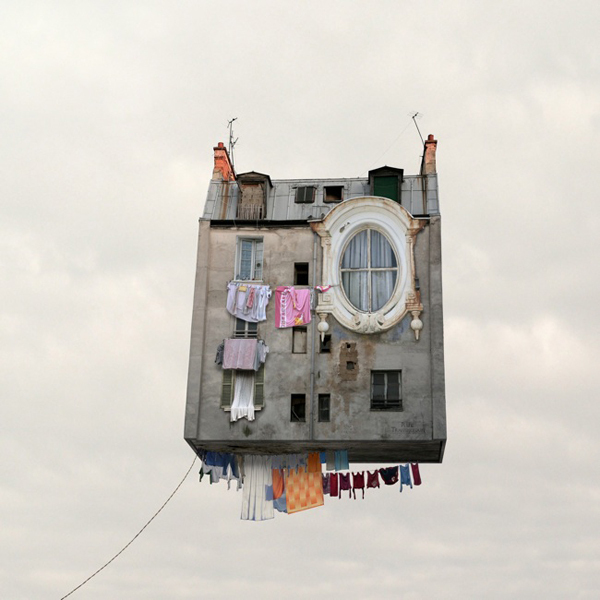 when I stumbled upon these additional 'Flying Houses' by Laurent Chehere, I knew they would have an interesting reason for being. 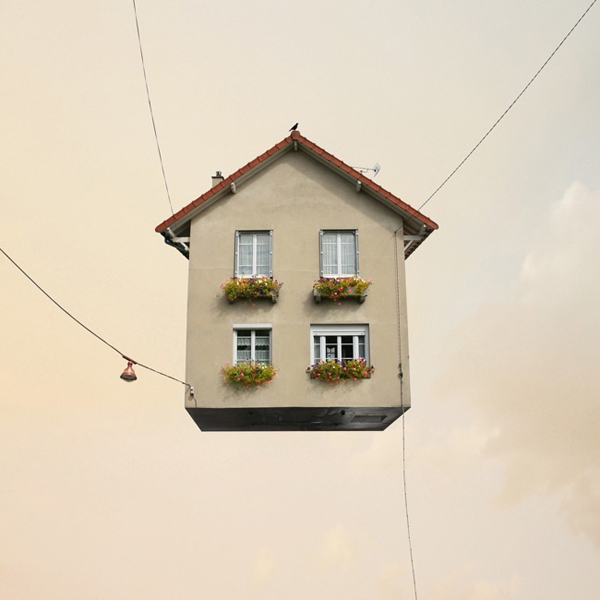 Chehere hails from Paris, the city known for it's architectural beauty, but he wanted to tell the story of the buildings and homes that wouldn't normally receive the awe and accolades. with this project he aims to ennoble the structures which would otherwise go overlooked. 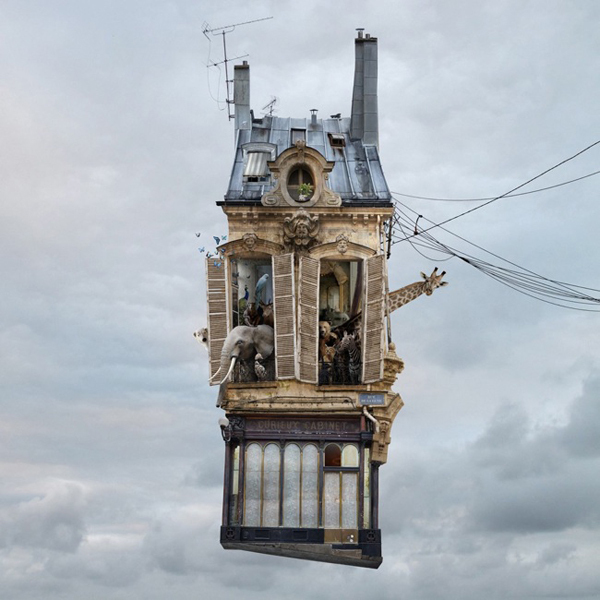 “I tried to get these sad houses out of the anonymity of the street, to help them to tell their story, true or fantasised,” wrote Chehere. 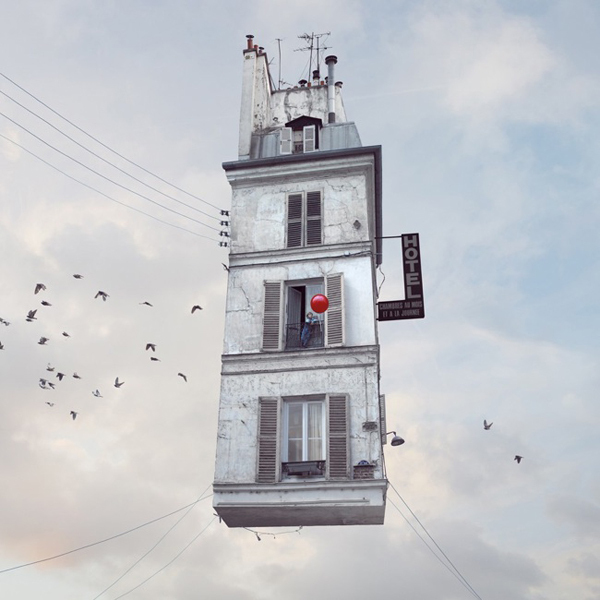 I love the collage aspect of these works and am always smitten by the humble home (oh, and I lovvvvveeee Paris).